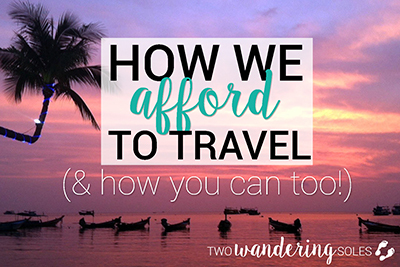 We always try to travel in a way that is ethical and leaves the smallest footprint, but we decided that while traveling in Cambodia we would do even more to be sure our money was being spent in the right places. Given the country’s heartbreaking recent history, the need is tangible. Although the people have seen some of the worst imaginable atrocities in the past 50 years, Cambodians are among some of the happiest people we’ve met. They are filled with hope for a brighter future, and there are countless organizations around the country that are bettering their communities. 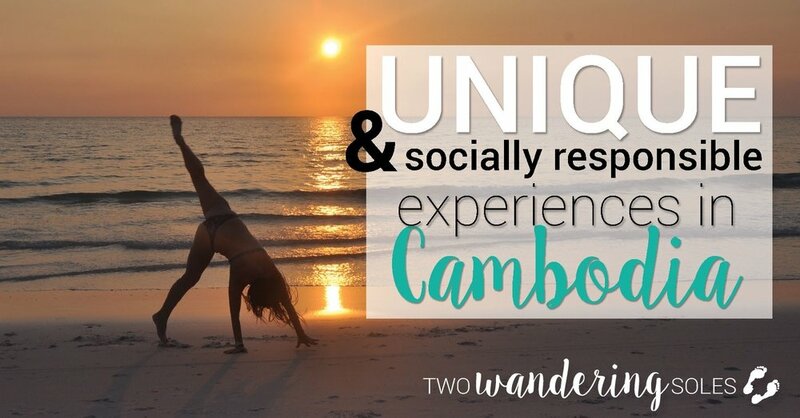 We found some pretty incredible eco-friendly companies to support, and want to share ways that you can give back while exploring this beautiful Cambodia. We’re not talking elephants balancing on inflatable balls or people jumping through rings of fire. This is not that kind of circus. The Phare Ponleu Selpak School was founded in 1994 by an art teacher and her 9 young students. After the fall of the Khmer Rouge, many returned home from a refugee camp and saw a need for an artistic outlet in the lives of the youth of Cambodia. More than 20 years later, this program has 1,200 pupils in this vocational arts training program that is provided free of charge. 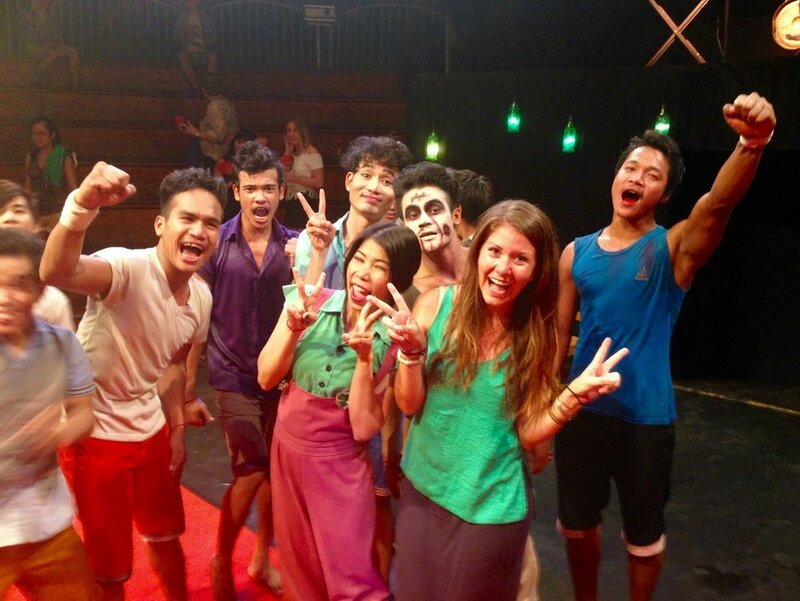 The Phare Circus was created relatively recently, in 2013. It provides graduates of the school jobs in hospitality and performance arts, while also giving them competitive salaries and benefits. When the Khmer Rouge was in power, the arts were strictly forbidden, and this program in a way has been a way to take back what was lost for a time in history. The show we saw was called “Prue” (meaning “chills”). The storyline of a group of friends overcoming a fear was cute, albeit a bit underdeveloped. The performers and musicians made up for any lack of plot line though. The group of 8 teenagers was enthusiastic, ridiculously talented (how in the world to they bend like that!? ), and clearly passionate about what they were doing. They had us laughing the whole time, and made us wish the hour-long show didn’t need to come to an end. If you’re in Siem Reap, be sure not to miss this show! Tip: Arrive early to have dinner at the onsite restaurant. The Khmer and Western cuisine looked delicious and was reasonably priced. Sadly, we had eaten before coming, so we didn’t try any of the offerings other than an obligatory cotton candy (which melted almost immediately after coming in contact with the humid air). Although a bit of a ways out of town, this is well worth a stop. The museum was created by Aki Ra, a former Khmer Rouge child soldier. His story is crazy: after leaving the regime, he worked for the UN where he received training to disarm landmines. Eventually, he started going into the field alone, where he continued to destroy an estimated 50,000 landmines, many of which he was responsible for planting. Heavy stuff. The museum itself is pretty rudimentary, but powerful nonetheless. Take a complimentary audio headset and be guided through the displays, among which you’ll see hundreds of the devices that are responsible for the deaths and dismemberment of thousands of innocent victims. Behind the museum is a school and house that was created for children who had been affected by the landmines firsthand. Today, so many of the landmines have been destroyed that the number of victims has fallen drastically. Thankfully now not all of the children living in the home are victims. The biggest bonus of visiting this museum is that 100% of your $5 admission ticket goes to the onsite school and other programs for landmine victims, as well as paying the staff livable wages. How to get there: You’ll need to hire a tuk tuk driver, as it is 45 minutes away. We recommend adding it onto a trip to Banteay Srei temple, which is without a doubt the most intricately carved ruin in the whole of the national park (and one of our favorites overall). We included this temple and the Landmine Museum as additions to the traditional “big circuit” loop, and cut some other, less interesting temples instead. One of the most powerful things you can do while traveling in Cambodia (or any country, for that matter) is to make an effort to learn about the country’s history. One of the most educational experiences we had was visiting the notorious Killing Fields in Phnom Penh followed by the S-21 Museum. Our advice is to visit both on the same day in order to get the most out of the experience. And be prepared – they are not easy visits, but so necessary for understanding the dynamic of this country. You’ll walk past mass graves where the bodies of nearly 9,000 men, women, and children were found, and you’ll see some things that can’t be described in any other way than disturbing, gruesome, and heartbreaking. I won’t go into much detail other than to say that the Khmer Rouge believed that bullets were much too expensive, so they took the lives of their prisoners in the most unimaginable ways. 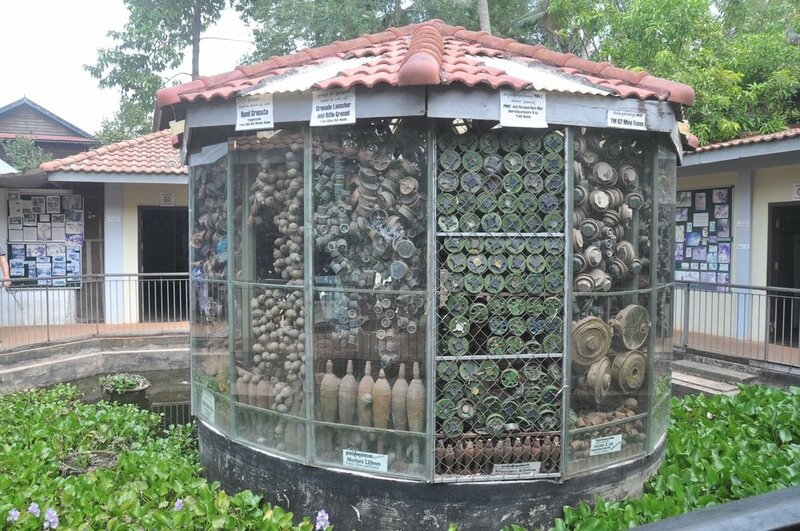 Bones of the victims are displayed as a reminder of how many lives were lost under the reign of the Khmer Rouge. And this isn’t an isolated case. The devastating truth is that this is only one Killing Field of more than 300 throughout Cambodia. Tip: At the Killing Fields, the admission cost is $6, and be sure to get the included audio headset. It is very well put together and incredibly informative. S-21 used to be a school, but the Khmer Rouge turned it into a prison in order to show the Cambodian people that not even education could save them. They kept people here, in awful conditions, before they were transported to their deaths. While visiting S-21, you can walk through the hallways of this eerie school-turned-prison and can almost hear the cries of those who spent their last moments of life here. The most powerful display is rows upon rows of headshots of all the 9,000 people held prisoner – some just small children. They are all wearing a number and an expression of fear, confusion, and despair. Next to these photos is a small chair on display. As difficult as it was to see both of these sites, the Cambodians we talked to were happy that we chose to visit these places while in their country instead of ignoring this piece of history. Tip: Think about the order in which you visit these sites. Visiting the Killing Fields first thing in the morning will be more comfortable because it gets incredibly hot during the day, and there isn’t much shade in which to seek refuge. 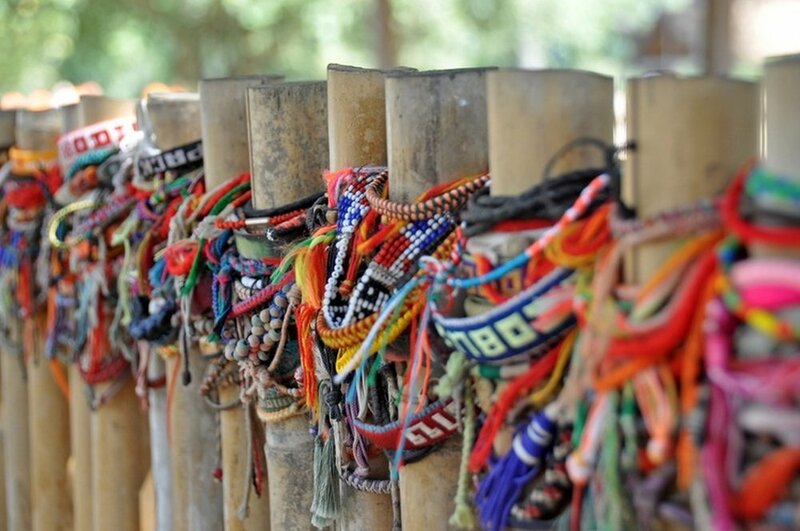 But going to S-21 first may give you a better insight to the atrocities that happened at the Killing Fields. In this order, you will first see where the victims were kept, and second see where they had their last moments, which is incredibly powerful and humbling. How to get there: Hire a tuk tuk driver from your hotel. Mad Monkey arranged a driver for us and we paid $20 for him to bring us to both places. We split the ride with two others, making the cost just $5 per person. Plan to spend around 2 hours at each. Flying through the forests of Angkor National Park probably isn’t the way you pictured your visit to the famous temple ruins, but trust us, it’s a pretty cool way to see this UNESCO World Heritage site from a different perspective! Get above the trees and speed across zip-lines 45 meters off the ground, the longest of which is 300 meters! 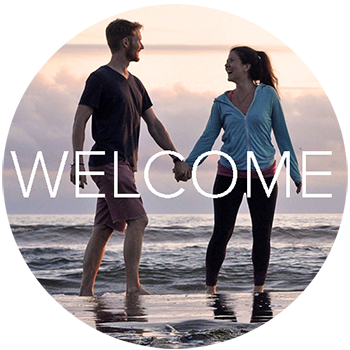 The fun and professional guides keep safety as their number one priority so there is no need to worry. You can read about our full review here. Not only do you get to play Tarzan for the day, but you also get to contribute to the preservation of Angkor National Park. Part of your admission to Angkor Zipline goes to conservation and planting trees in this park. Last year alone, Flight of the Gibbon planted 5,000 trees and expects to plant at least that many in coming years. This company also prides itself on protecting gibbons, a species of long-armed monkey that is endangered. Don’t get your hopes up for seeing one of these creatures during your adventure though - they are wild animals and avoid humans (duh!). We appreciated the fact that they were not kept in cages for us to look at, but instead were able to roam freely, livin’ the jungle life! 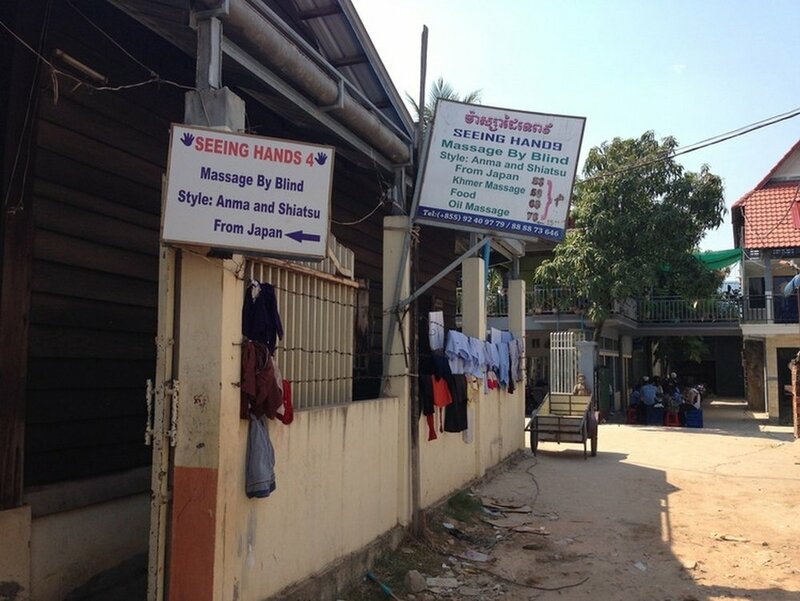 Seeing Hands is a chain of massage shops throughout Southeast Asia that employ only blind masseuses. They are provided with an opportunity that allows the blind to earn a respectable living (something that is sadly uncommon for those with disabilities in many countries). And just like getting massages from prison inmates in Chiang Mai, we were excited to give our business to a worthy cause. Our first experience with Seeing Hands was in Siem Reap when we ventured to this small shop located in an alley. A little sketchy? Yes, but we were determined. I am going to be completely honest. I really wanted to love the experience, but both of our massages were pretty terrible. We experienced more poking than actual massaging. And after looking into it a bit, it seems that our experience isn’t uncommon among Seeing Hands clients. 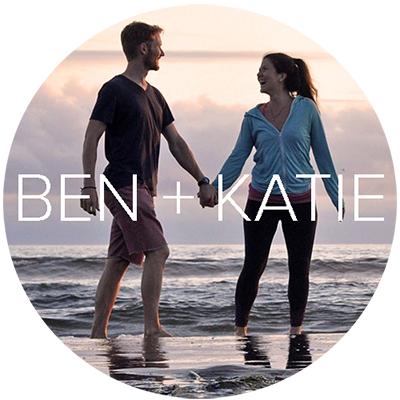 I think this is an incredible business idea and am happy we had the chance to support this company. Seeing Hands has created jobs for people who may not otherwise have the opportunity, a worthy cause without a doubt. But I think more training is needed for the masseuses to be able to provide a quality service that is highly sought after. How to get there: Starting at the intersection of Sivutha Blvd and Preah Sangreach Tep Vong Street, walk south down Sivutha Blvd. In less than 100 meters you will find an alley way to your right with a sign for a blind massage pointing in its direction. If you are walking and come to the Night Market Street you have gone too far. After a short walk down the alley you will find Seeing Hands to your left. Hiring a tuk tuk driver for the day provides someone with valuable work and a means to support their families. Often times they can tell you about Cambodia's history and insights on the country you wouldn't get otherwise. If you hire a tuk tuk driver be sure to pay them fairly for their gas and their time. Maybe even offer to pay for their lunch. For a day trip in Angkor Wat Park, a fair price for the small loop is between $15 – $20, and a fair price for the big loop is $25 – $32. This café is in the center of Kampot and is perpetually busy, and it’s no wonder why – the food is fantastic, and a portion of the proceeds is used to bring art programs to children in the community living with disabilities. You can even purchase some of the children’s masterpieces (from scarfs to jewelry), which you’ll find displayed on the café’s second floor. Tip: Try the Crisp Moroccan Eggplant Rolls and the Breakfast Bruschetta. You’ll thank us. Set in a peaceful garden (hence the name), this café has a large offering of vegetarian and vegan fare. The coffee, teas and shakes are fabulous too! Also they host daily yoga classes, monk chats and outreach programs in the community that provide health and hygiene classes, first aid kits, school materials, and bicycles and shoes to those in need. Plus, if you’re looking to buy souvenirs in Cambodia, Peace Café has a selection of Fair Trade products that are reasonably priced. 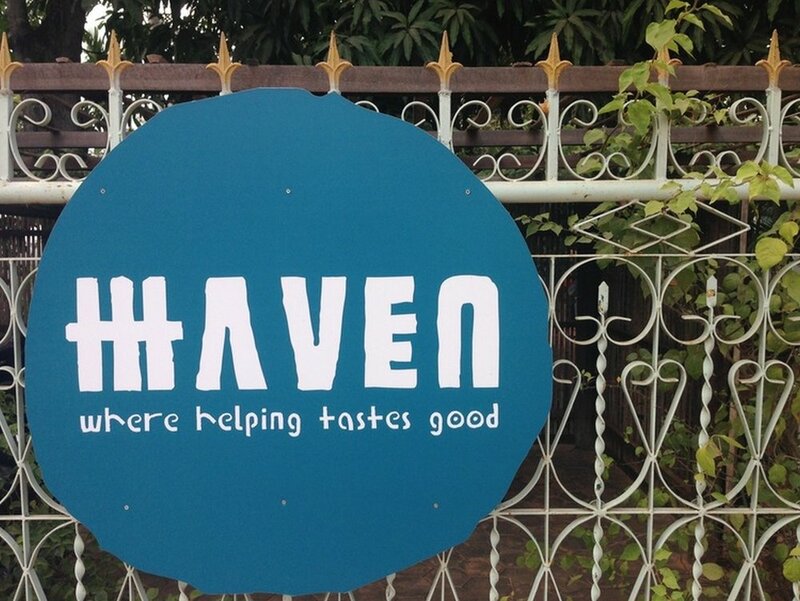 Haven Restaurant is located next to a high school and employs at-risk students. They are given extensive training so that they can use these skills to be competitive candidates for employment upon graduation. Additionally, the food is thoughtfully prepared and tastes as good as it looks. They certainly live up to their motto: “Where helping tastes good”! If you’re a coffee lover like we are, Sister Srey will be your favorite spot in Siem Reap for a cup o’ joe. The sisters who own this cute little café are from Melboure, a city known for coffee snobbery, so we wouldn’t expect anything less. The food is an eclectic mix of Western fare, with especially good breakfast offerings. A portion of the café’s profits fund the sisters’ nonprofit organization, Hearts to Harmony Foundation, which offers a “hand up, not a hand out” to locals in need. The organization provides educational sponsorships, health workshops, and toilet and well builds. Fun Fact: Srey means “sister” in the Khmer language. 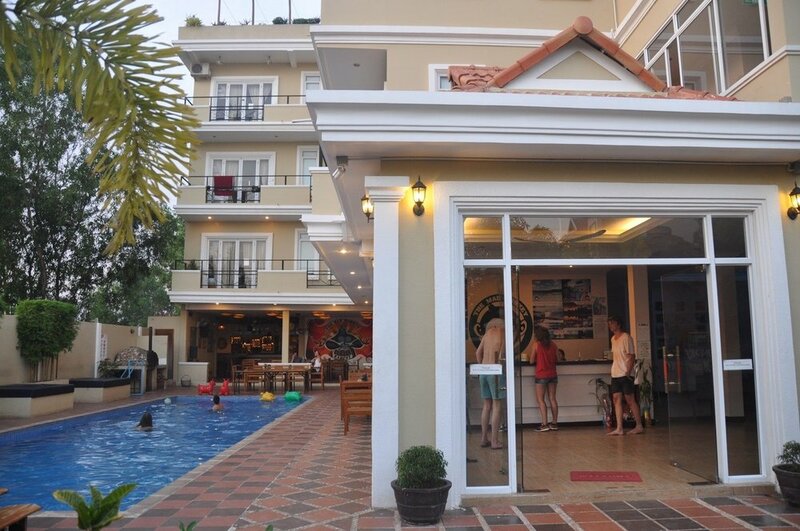 This chain of hostels has 4 locations around the country, so you’ll certainly have an opportunity to stay with them at least once. First, the facilities are beautiful and diverse – from rustic bungalows on a private beach in Koh Rong Samloem, to chic private rooms that overlook a sunny pool in Kampot – there is a Mad Monkey for every type of traveler. And even more importantly (in our opinion), they place a strong emphasis in paying their staff fair and competitive wages, while also supporting some incredible organizations in each location – a clean water project in Siem Reap, and an inspiring school for underprivileged children near Kampot. Although it may seem like you’re doing good, giving money or candy to children on the street only encourages them to skip school and beg. 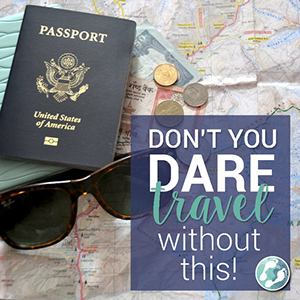 Most organizations around the country that advocate for impoverished children strongly urge travelers to refrain from giving them money. Another sad fact is that some families will abandon their children because they make more money begging as an “orphan” than as a family. If you want to help, find organizations that are supporting impoverished families and children and encourage education. This is the only way to beak the cycle. Sadly, there are some common scams in Cambodia that involve begging, so it is good to be aware of what you may encounter. One scam that we saw quite frequently is a young mother holding a baby will approach you with an empty bottle. She will say she doesn’t want money; she just wants formula to feed her newborn. She will then bring you to a store where you buy formula and feel like you did a good deed. What happens when you leave is she will give the formula back to the shop owner and they will split your money. A friend of ours encountered another type of common scam while visiting the floating villages near Siem Reap. A “teacher” will ask you to buy pencils or notebooks for their students, and when you agree, they will take you to a vendor selling these items. They will tell you that they’ll give your gift to their students later that day, but when you turn around, they’ll hand the items back to the vendor and split your money. One thing that bothered us while traveling in Cambodia was the clear separation between tourists and locals. It wasn't that the people were unfriendly. In fact, the opposite is true – Cambodians are among the kindest people we have encountered on our travels. But we had to actively seek out restaurants and establishments where the patrons were not solely foreigners, especially in Siem Reap. There seemed to be several restaurants in Siem Reap that tuk tuk drivers took their clients to. Fancy décor. Full wait staff. All meals on the menu upwards of $6. These are all things that are strange in SE Asia, but the part that bothered us is that the tuk tuk drivers did not go inside. They all congregated in a restaurant next door. When our driver brought us to one such restaurant, we asked him to come eat with us, but he shook his head and said that drivers had to go to a different restaurant. When we asked if we could go to “his” restaurant, he shook his head again and said, “This restaurant is for foreigners.” We were so weirded out by this that we asked to be brought to a different restaurant where we could eat together. And this wasn’t an isolated incidence. We saw these restaurants all over (mostly in Angkor Park). This experience led us to do some thinking about the way in which travelers and tourists interact in this country and we kind of left with a bitter taste. In Siem Reap, for instance, there is a Pub Street for foreigners that is teeming with young people getting wasted on buckets and drunkenly eating deep fried tarantulas sold on the street. Aside from street vendors, there are no locals here. One night we ventured to the Local Pub Street (which is quite far away from the Foreigner Pub Street) and we had the best night of our entire stay in Siem Reap. We were literally the ONLY foreigners in the bar we were at (and on the entire street for all we could tell). We made friends with two young Cambodian men, and were driven back to our hotel for free (we didn’t have enough money) by a teenager who insisted that it was too far to walk and he just wanted to help us out. It was refreshing to meet locals who weren’t working in our hotel or serving us food. To us, it seems like Cambodia is developing quickly. There is an abundance of high-end restaurants next to streets where children run around without clothes and beg for water. It seems like there has been a wall built (both figuratively and literally) to separate locals and foreigners. Perhaps there have been some travelers in the past who’ve made it clear that this “wall” makes them more comfortable. We hope that as this country welcomes in more tourists every year, there continues to be a focus on sustainable tourism, but that this “wall” begins to be broken down. We hope that one day the barriers that have been built to separate us from each other crumble so that local people and foreigners are able to interact more learn from each other in an authentic way.